Given the name because of its impressive arches and resemblance to the closet necessity, Sydney Harbour Bridge looms 400 feet above the Sydney Harbour. On the 15-Night Australia & New Zealand Voyage departing 19-February, 2017, you’ll have the opportunity to climb this architectural marvel. 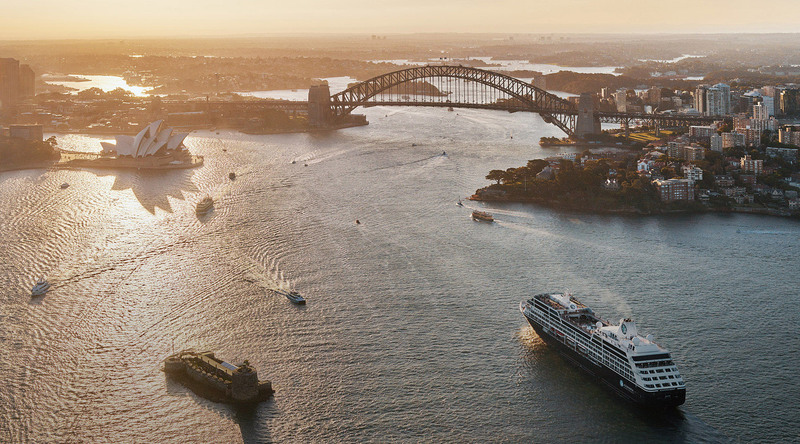 The Sydney Harbour Bridge Climb is a Azamara Shore Excursions experience for guests who want an incredibly up-close view of the bridge. An expert guide will lead you on a climb along the catwalks, ladders, and arches of the bridge. You will ultimately reach the summit for a magnificent view of the Sydney Opera House, the Blue Mountains, and of course, the harbour.